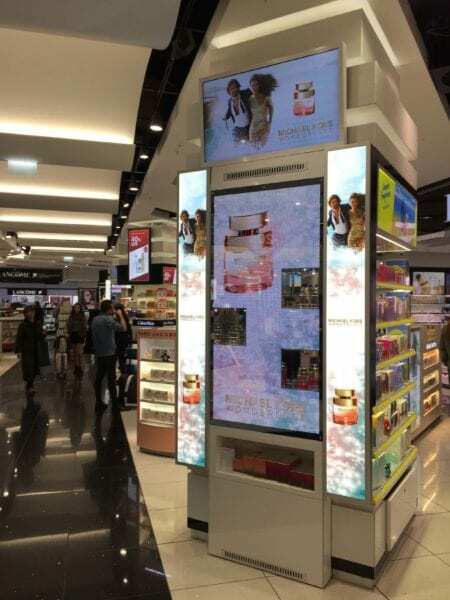 Our Mirror Advertising Screen is a popular choice for customers looking for a Digital Signage screen with a difference. 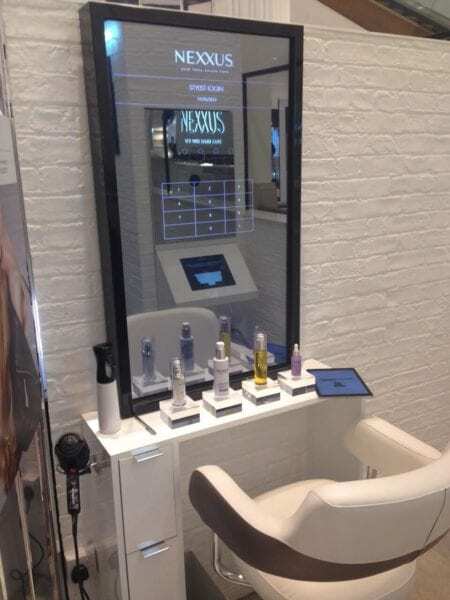 The screens come complete with a framed or frameless Mirror Overlay meaning the display integrates perfectly with any modern or traditional interior and when turned off, the screen disguises itself as a mirror! 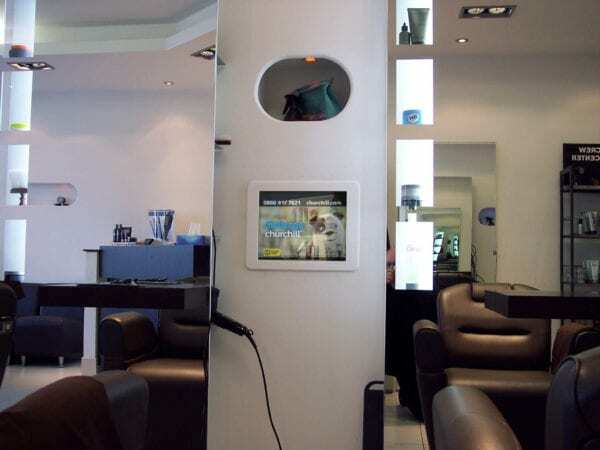 The mirror advertising screen also includes a HD media player allowing you to update media using a USB memory stick, while inbuilt Digital Signage software enables you to schedule content to appear at different points of the day. The displays also include inbuilt speakers and HDMI / VGA inputs for connecting to other media sources. 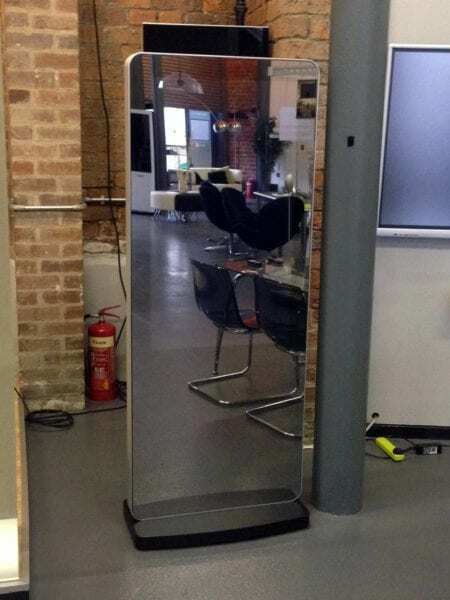 *Our ‘Standard Tint’ mirror is recommended for applications where optimum screen image quality is required, whilst ‘High Reflective tint’ is recommended for applications for optimum mirror effect. 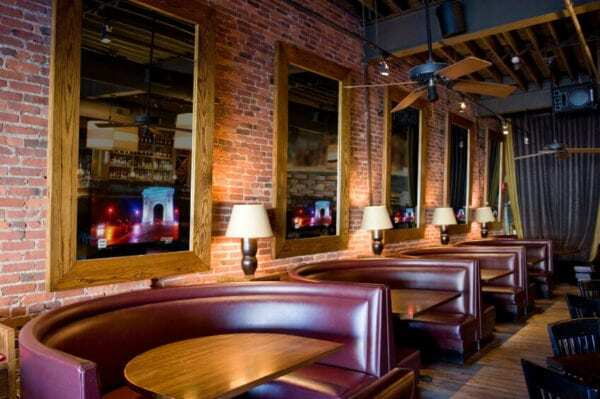 Optional WiFi / LAN module for remote update of media and scheduling. 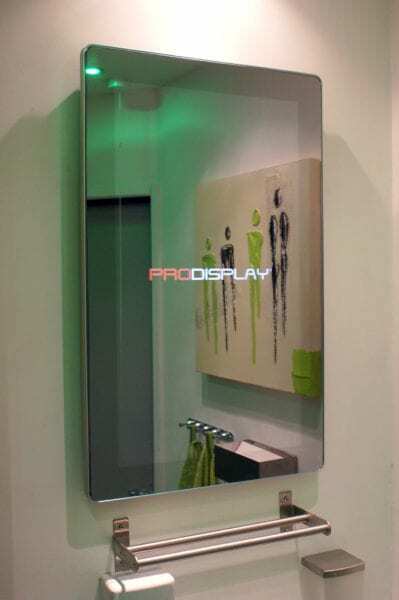 Pro Display offer a variety of products incorporating Mirror Screen technology for use in a wide range of applications. 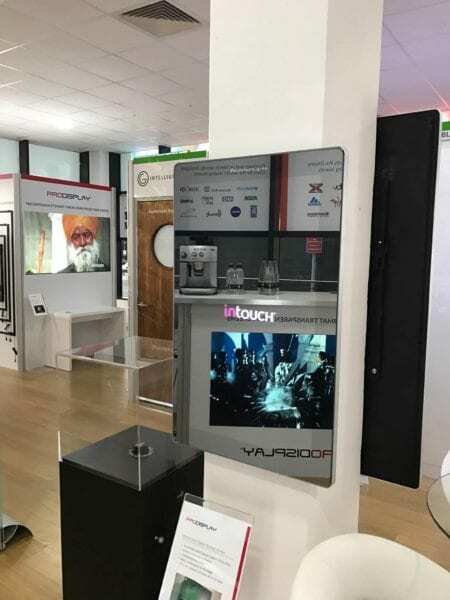 The Mirrorvision range includes both interactive and non-interactive screens, offering a solution for most related requirements. 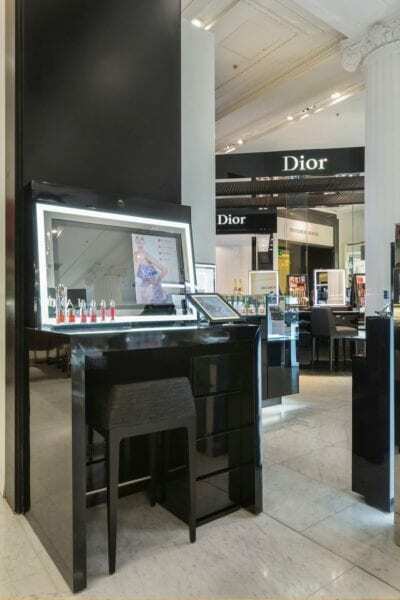 We manufacture in Britain and ship worldwide – if you need further information, a pricing quote, or want to discuss ideas for using our Mirror Advertising Screen please complete the form below, or call us on +44 (0)1226 361 306.